FOXBOROUGH, Mass. 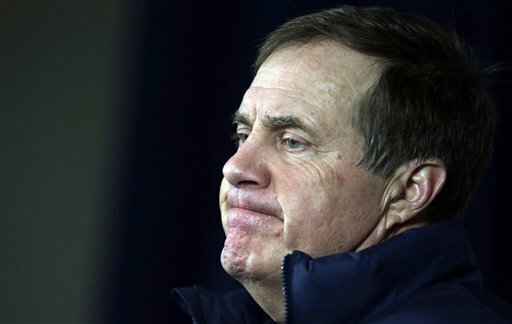 (AP) -- Bill Belichick has this nice habit. He coaches in Super Bowls. FOXBOROUGH, Mass. (AP) — Bill Belichick has this nice habit. He coaches in Super Bowls. When they face off Sunday for the second straight year in the AFC championship, Belichick’s Patriots and Harbaugh’s Ravens will offer further proof of the value of stability. Harbaugh has managed something Belichick, Shula and every other NFL coach has not: Winning in the postseason in each of his first five years on the job. He’s also been to seven conference title games, four as an assistant in Philadelphia. Brady emphasizes Belichick’s steadiness as a key to that success. The Patriots have done that for a dozen years; Belichick is third with 18 postseason victories and would tie Shula for second with a win Sunday. He would tie Tom Landry for the top spot by also winning a fourth Super Bowl, which would equal Chuck Noll’s four in the big game with the Steelers. Quite a resume, which also includes three Super Bowls as an assistant. There’s a wealth of knowledge there — even if Belichick is unwilling to share it with anyone not wearing Patriots colors. If you stop learning in the NFL, you will be left behind. If you stop adapting, you won’t contend for championships. Harbaugh, a former special teams coach who reached the Super Bowl with the 2004 Eagles, has adjusted well throughout his tenure in Baltimore (12-6). When he joined the Ravens, they had a premier, shutdown defense. Recently, they’ve become more dependent on their offense. Harbaugh is 6-3 in the playoffs, including a 33-14 victory at Gillette Stadium three years ago. He’s lost in both trips to the AFC title game, including 23-20 to New England last January. Should he help the Ravens get to their first Super Bowl since the 2000 season, he just might meet his younger brother, Jim, in the Big Easy. Jim Harbaugh’s 49ers are playing at Atlanta for the NFC championship.